BARBADOS (AUS) (Grey 2008-Stud 2013). Winner at 1100m, ATC Styletread.com.au P., 2d ATC Rosebud 2YO Males Preview H. Out of SW Virage de Fortune (MVRC Australia S., Gr.1), a sister to SW Avenue (MRC Thoroughbred Club S., Gr.3), a three-quarter-sister to SW Slapstick. Related to SW Emancipation, SW Stratum Star, SW Railings, etc. Sire of 25 rnrs, 11 wnrs, inc. Atlantica, Bajan, My Blue Jeans, Caribbean Pearl, Lucky Master, Tropical Lightning, Bramfield, Galcrum, Lady Conquistador, Rustydustysunshine, Caribbean Doll and of the placegetters Big Buds, Martinique, etc. Racing Rory (g. by Mint Lane). Winner at 1200m in 2017-18 in Aust. Stormy Skye (f. by Mint Lane). Placed in 2016-17 in Aust. CENTURYTWENTYONE (Urgent Request). 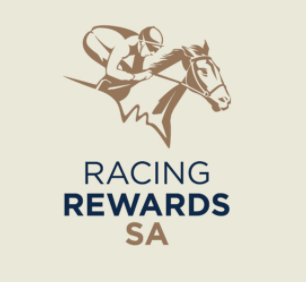 8 wins from 1100m to 2050m, A$216,525, SAJC Birthday Cup, L, MVRC Showcase Jewellers H., SAJC Port Noarlunga Hotel H., Become a Member H., Consolidated Plant & Quarries H., Veolia Environmental Services H., 2d TTC Launceston Cup, Gr.3, Oakbank RC Coca-Cola Young Members H.
Mr Bubble. 2 wins at 1400m, 1650m, BTC Mediacom H.
Puerto Flamenco. 7 wins to 1500m, A$101,460 in Aust. Stat. 4 wins from 1100m to 1600m in Aust. Alpha Stryke. 2 wins at 800m, 1000m to 2018-19 in Aust. After Me. Winner at 1600m in Malaysia. Aradanchi. Winner at 1600m in Aust. Silver Sun. Winner. See above. Damocles. Placed to 2016-17, 3d SAJC Rewaaya P.
Chile Dapper. 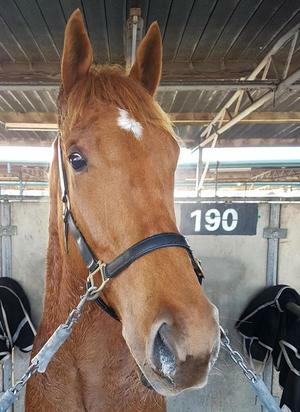 18 wins-3 at 2-to 1400m, A$248,781, AJC At Sea Welter H., STC Inghams Enterprises Welter H., Brookvale Probus Club Welter H., Truscott's Toyota H., Glebe H., Reckless Welter H., 2d AJC Westminster H., Caspian H., STC Membership Welter H., Hunting Horn 2YO H., 3d AJC Gallipoli H., Luskin Star H., Steve Donogue H., STC Truscott's Toyota Welter H., Become a Member Welter H., Flotilla H., Newcastle JC Country Cup. Stalker. 4 wins at 1200m, 1400m, A$103,550, MVRC Woodbine H., Sale Quality H., 2d MVRC Denis Pagan H., 3d VRC Tooheys New Sprint H., MVRC AFS Security Group H.
Shiraz Jazz. Winner at 1200m in Aust. Bulan Rezeki. Winner at 1400m in Malaysia. Chile Dancer. 2 wins. See above. Hot Chilli Woman. Winner at 1200m in Aust. Big Dance. Winner at 1800m in Aust. PROFUNDIDAD (Bal Royal). 5 wins. See above. Monopolio. 16 wins at 1300m, 1400m in Chile. Paraguayano. 5 wins in Chile. Paraguayo. 5 wins at 1000m, 1100m in Chile. Rápido y Furioso. 2 wins at 1000m, 1100m in Chile. Gran Ali. 2 wins at 1000m, 1100m in Chile. Paraguaya Bold (Bold Mint). 3 wins. See above.